The weekend of the 11th and 12th of August saw myself, Harry, Danny, Jules, Stuart, Lorna and Lisa make the long but worthwhile drive to Torridon for the August meet at the iconic Ling Hut. After a wet but short little walk in we got the fire going and hatched some plans for the following day with our tipple of choice. 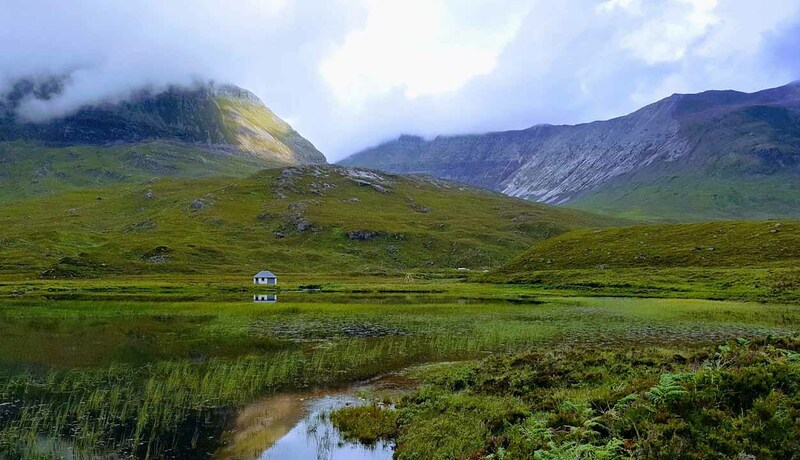 The Ling Hut is a fantastic hut, a short walk in, situated opposite the majestic Liathach, equipped with an inside toilet, ample cooking and sleeping and generous social area with a gas fire. 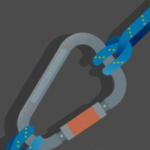 The plan for Saturday was simple , the boys choose the classic Cioch Nose **** 135m V Diff. The girls choose one of the classic munro route in the area Beinn Alligin and the horns of Allligin. 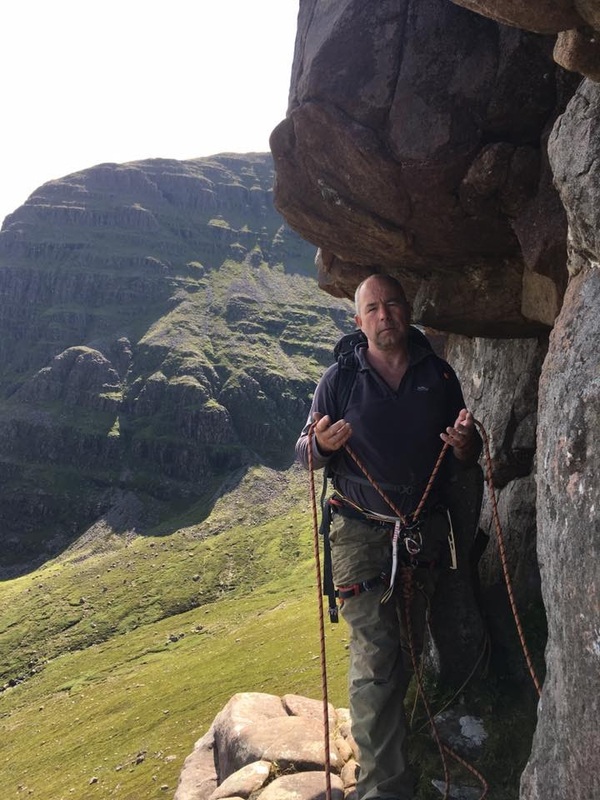 Myself and the guys drove up the long and winding road that is the Bealach na Ba parking at the big car park with great vistas over to the Skye Cullin. I raced ahead of the rest as i wanted to bag the summit of the Corbett Sgurr a' Chaorachain . I managed to catch up with the guys just as we clambered along the grassy middle ledge which takes you to the start of the route. Harry led the way with Jules and Stuart completing there team, Myself and Danny made up team 2. 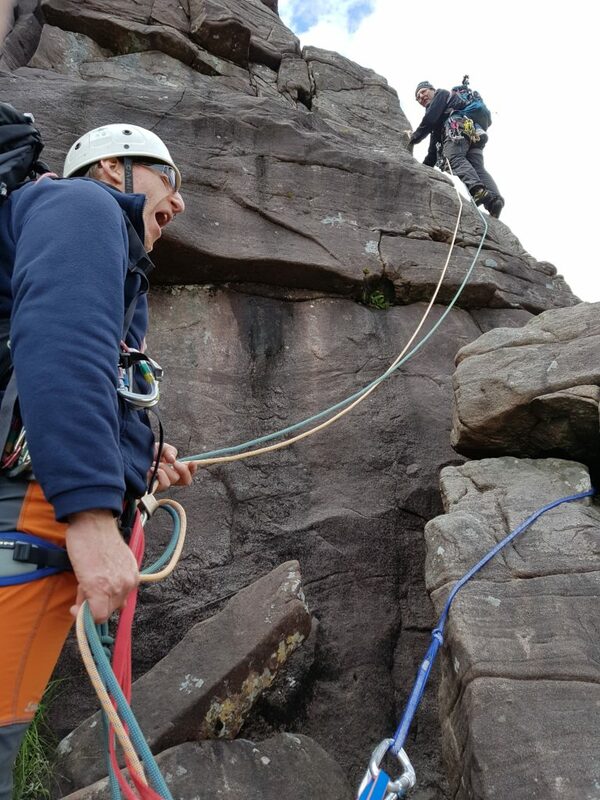 After a damp 1st pitch we got on to some good dry rock, pitch 2 threw up a tricky move especially for those who forgot their rock shoes !, pitch 3 was fantastic, a short exposed traverse on great holds leads upwards on the arete of this fantastic ridge. Another 3 or 4 pitches and the route was finished , but not theclimbing. We continued to climb the remaining 500m Upper Continuation * 500m V Diff to the radio mast . A fantastic day on the mountain. We stopped at the Torridon Inn for a well deserved beer, txting the girls to join us . With limited reception Lorna got our message but failed to realise there was a pub in Torridon and drove to Kinlochewe for her and Lisa,s wind down refreshment !! 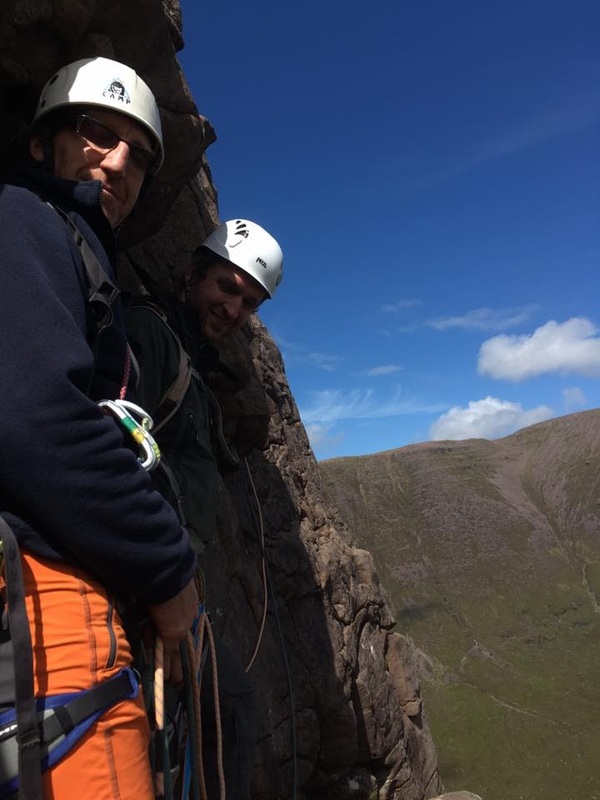 The girls had an equally fantastic day, the weather was good and they enjoyed fantastic views all round and even got a bit of scrambling done overs the 3 horns. Back at the hut the " craic " was flowing as dinners were cooked and ate, and wine , beer , whiskey and tea consumed by the fireside. Talk of the days adventures were heard and some legs pulled then plans discussed for the following day. 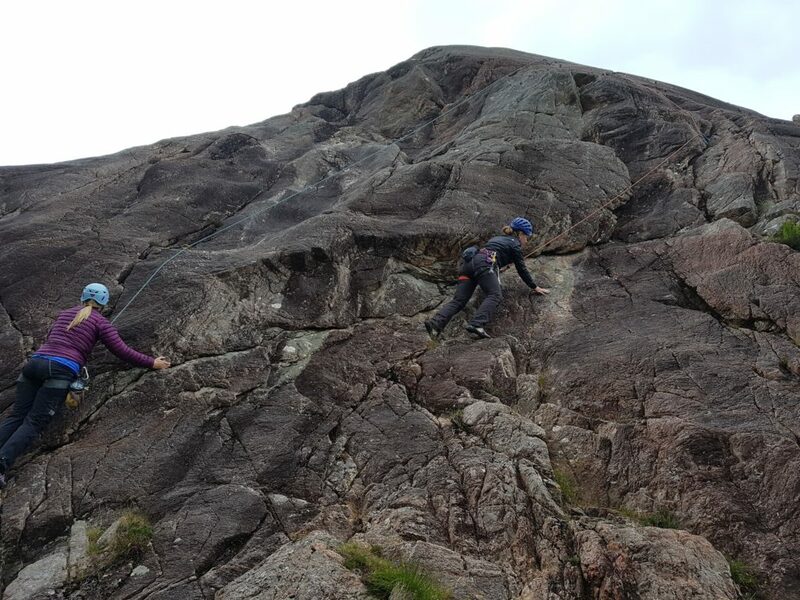 we decided on a group day cragging at Ardheslaig Crag. 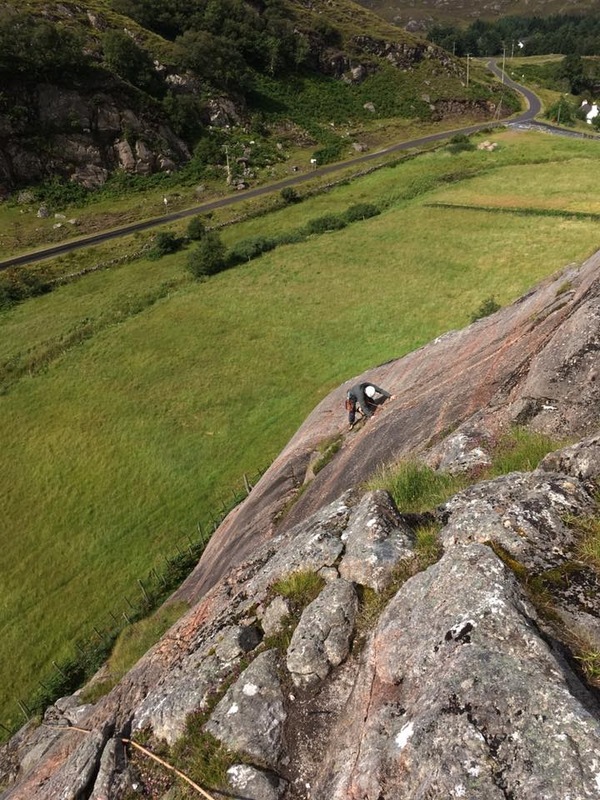 After breakfast we cleaned the hut and drove the short distance to Ardheslaig Crag, A5 minute walkin past a beautiful little bay Ardheslaig is a small (11 routes ) crag on good well protected rock. Everybody got something out the day, we had lunch with some lovely cake supplied by Harry, and even climbed through some short showers. The girls and Jules headed home first , the rest of us following half an hour later only to bump into the girls at our cars !! seems Jules gave them the wrong directions for the way home !! so we all stopped off for a tea / coffee at the Torridon Hotel to cap off what was a great meet. Roll on the next one.